As part of the Rothesay Employment Group, Help were offered an opportunity to visit the fabulous Dumfries House in Ayrshire to experience ’The Atelier’ which is a workshop type environment for sewing and embroidery. 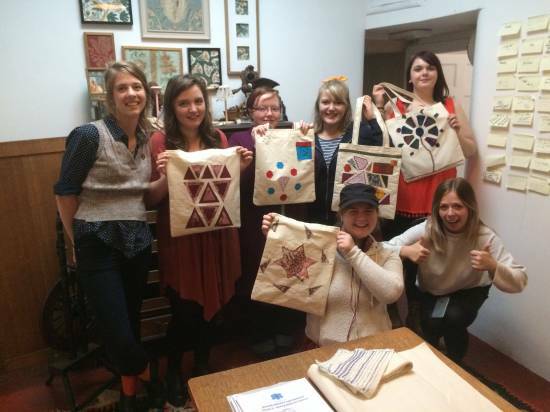 As a taster day we were given the opportunity to design and make our very own Tote Bags. We all produced amazing, unique products with the help and support of tutors from Glasgow Clyde College and Future Textiles.